It was Sunday, 18th June 2017. India and Pakistan were going to contest against each other in the much-hyped finals of the ICC Champions Trophy. After comprehensively beating Pakistan in the initial round of the tournament, India were favorites to win the series under the captaincy of Virat Kohli. They went to the tournament with the reputation of never losing a single match to Pakistan in any of ICC led tournaments. But on that day the eighth-ranked Pakistan side mauled India with a brilliant all-round performance and won the match by 180 runs. Hardik Pandya’s fine cameo of 76 runs from 43 balls was the only stellar moment when India looked remotely competitive to win the match. Exactly 15 months later, the arch-rivals are going to lock horns in the round robin league of the Asia Cup on 19th September 2018. If both teams advance further in the round of Super 4, then we can certainly expect India and Pakistan to feature in yet another epic final. The tournament to be played in UAE from September 15th to September 28th will feature 4 other teams – Sri Lanka, Afghanistan, Bangladesh, and Hong Kong. The Indian team had a dismal tour of England as they only managed to win the 3 match T20 series 2-1, then lost the 3 match ODI series 1-2 and finally outplayed in the Test series 1-4. More importantly, Virat Kohli has been rested in this series and in his absence, Rohit Sharma will be captaining the side with Shikhar Dhawan as his deputy. 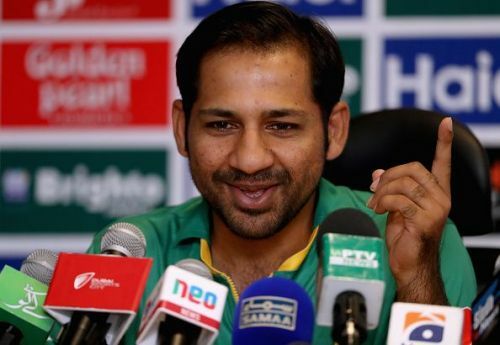 Ever since India’s tour of England, Pakistan skipper Sarfaraz Ahmed has been strongly opinionated about their bitter arch-rival. The 31-year-old Pakistani skipper thinks Pakistan team is more accustomed of the playing conditions in UAE and can pose a real threat to India. “Our team has relatively more experience of playing under UAE conditions and therefore we will try to take advantage of this experience in our Asia Cup match against India. On the other hand, Virat Kohli-XI is a stronger outfit as far as overall experience is concerned,” Sarfaraz said in an interview to the Pakistani newspaper, Dawn. The Indian team needs to strike the right chords after their moral crushing series in England. Five players from the current Asia Cup squad had featured in all formats of the game in England - Shikhar Dhawan, Hardik Pandya, Kuldeep Yadav, KL Rahul, and Dinesh Karthik. So after a morale-crushing series, it will be interesting to see how Pakistan play their cards against these players. It will be crucial to see who’s going to bat at the crucial no. 3 position, the place consistently held by Virat Kohli. KL Rahul perfectly fits the bill after his master-class knock of 149 at the Oval. But barring that knock, he doesn’t have much to boost his credentials from the tour of England. The Indian selection committee tried too many batsmen to fill the no. 4 slots. Experimenting with the veteran Yuvraj Singh in 2017, followed by Manish Pandey, Suresh Raina, and Dinesh Karthik, the focus now shifts onto 32-year-old Ambati Rayudu who made a surprise entry to the team after clearing the Yo-yo test. Rayudu last appeared in an ODI way back in 2016. Dinesh Karthik, the hero of Nidahas Trophy is yet another contender to fill this position alongside Manish Pandey. Kedar Jadhav who is making a comeback to the side after a hamstring injury is likely to bat at no. 5 followed by MS Dhoni and Hardik Pandya. Axar Patel can also expect a match if India happens to play 2 spinners in the line-up. Young fast bowling sensation Khaleel Ahmed who consistently bowls at 145km/hour can also make a breakthrough debut into the side in the absence of Bhuvaneshwar Kumar and Jasprit Bumrah. In the initial league stage, India will be playing Hong Kong and Pakistan in 2 consecutive days. Ever since the inception of the tournament in 1984, India has been the most successful team in the Asia Cup. The Men in Blue certainly hold the upper hand over their archrival winning 6 out of the 12 matches in last two and half decades. India lost 5 matches against Pakistan and 1 match yielded no result.